Supplementary material reads: "Dec. 4, 1952. Mr. Riblett: May we have a photographer tomorrow morning (or p.m.) (Friday) to take pictures for the Annual Review at the Lincoln-Mercury plant in Maywood? 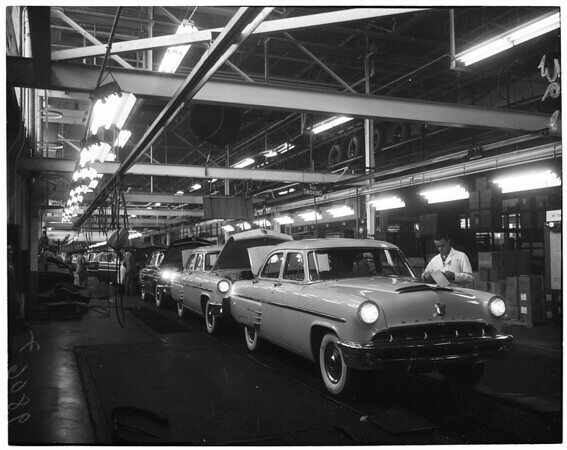 The occasion is the first 1953 Mercury to roll off the assembly line. Please ask photographer assigned to see me for more particulars on the deal. John Stingle."